The new Cronk Cullyn development at Colby created a real stir as the latest show home was officially unveiled by the Island’s premier new home developer, Hartford Homes. Cronk Cullyn has proven to be a very popular choice of locations for the latest Hartford development, so much so that the first phase that was released sold out in record time, just weeks after the launch. But now, with the final phase being unveiled, and a new superbly designed show home just opened, the final 15 properties are available for prospective purchasers to view. One of the best features of Cronk Cullyn is the way Hartford has considered all generations. The 2 bedroom bungalows are perfect for downsizing retirees, or first time buyers, as are the delightful 3 bedroom semi-detached homes. Then, for the growing family, there are a choice of three 4 and 5 bedroom house styles. To bring this all together, and to help create a real micro-community, the development features careful landscaping including a delightful village green and fully equipped children’s play area. With the stunning southern coastline on the doorstep, and easy access to the airport and just 20 minutes to Douglas, Colby is becoming a real magnet for those looking to escape the larger towns. Cronk Cullyn is within yards of the local convenience store and Colby Glen Hotel. It really is worth a trip to see how Hartford has combined a very natural looking exterior, including the clever use of cedar cladding, with stunning open-plan interiors. The feeling of space is further enhanced by the extra wide bi-fold doors that lead from the kitchen/diner to the patio which would be great for anyone with children, and for those alfresco evenings! And if you love cooking, you will be inspired with the luxury fully-fitted kitchen, a real cook's dream. 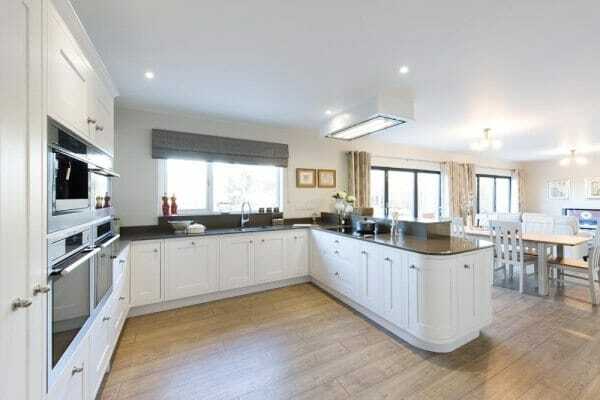 The show home is open Saturday and Sunday every weekend, from 1pm to 4pm.